We make a note of knowing the best bars and clubs to party at whilst in Katowice. With this in mind, we’ve put together a list of the places we recommend. 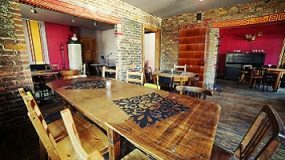 Dobra Karma is a chilled out cafe that feels just like home. The warm atmosphere and various hosted events means there is always something worth checking out.